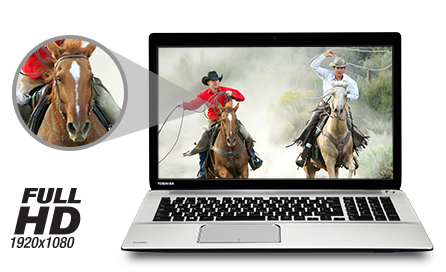 Toshiba P70-B 17.3" Dedicated Graphics Laptop Core i7-4720HQ 16GB RAM 1TB+8GBSSD.  Special Offer includes BullGuard Internet Security. The Satellite P70-Bs 43.9 cm (17.3), Full HD display with 300 NIT brightness delivers first class visual quality. With a combination of advanced graphic technology and a large screen size, you get a TV-like viewing experience, with a depth and vibrancy that delivers every detail whether youre watching the latest release or enjoying online content. With integrated Harman Kardon speakers, you get a premium sound experience that adds another dimension to your entertainment. Whats more, theyre enhanced by the DTS Sound audio enhancement suite, for boosted volume, better bass, and improved definition. Its not just the elegant, durable aluminium body with a satin gold finish that will make you want to take the Satellite P70-B home with you. 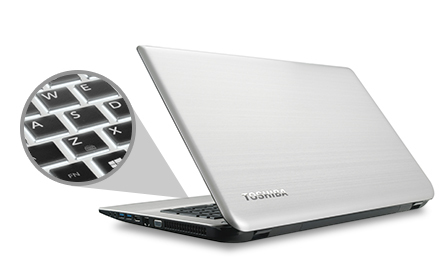 Its frameless, tile keyboard with white illumination, makes typing very comfortable; even in low light conditions. With a large clickpad that features gesture support, you stay in control whatever youre doing. The fast AMD Radeon R9 Graphics with up to 4GB* of GDDR5 dedicated memory, are designed to deliver optimum performance at all times so you can run numerous programmes at once, create videos, or engage in serious gaming all without a glitch. 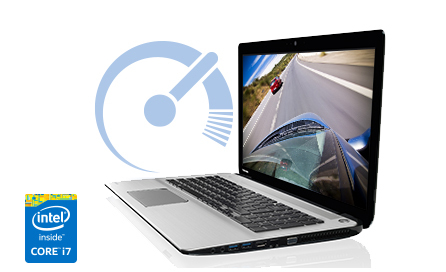 Whats more, its AMD Enduro technology intelligently optimises your laptop, providing the outstanding graphics performance you need, while extending battery life for longer enjoyment. 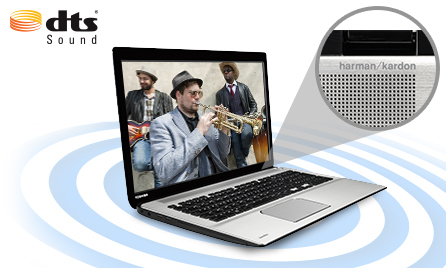 Powered by an Intel® Core i7 processor, with up to 1TB HDD, the Satellite P70-B is designed to meet every challenge. The Satellite P70-Bs entertainment with Ultra HD screen with HDMI: when you want to watch a film with the whole family, you can play Ultra HD content in its full quality, simply by connecting to an Ultra HD capable TV via HDMI. With four USB 3.0 ports, youve got a super-fast connection to all your external devices, so you can play all your favourite content quickly and easily wherever its stored. 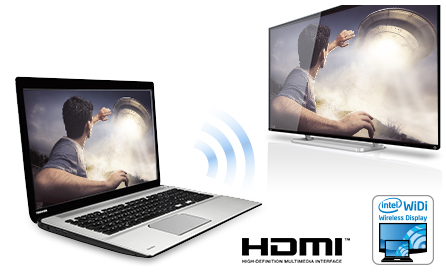 You can share content with your Ultra HD TV wirelessly too; simply stream it from your laptop to your TV using Intel® WiDi, and enjoy all your favourite movies, videos, photos and music on an even larger scale.